Facebook is one of the most trending social media, people even spend hours reading their news feed, In this era, each and every startup and organization and Even blogs should own a Facebook page and promote their business. From 2007, Facebook allowed anyone to create a fan page of their own Promoting or Marketing their organization or work posting unlimited Posts to their fan bases, Due to emergence of large number of pages, In the year 2012, Facebook rolled out an update which decreased the organic reach of your Facebook posts. Organic reach is the percentage of fans who actually recieve the post in their newsfeed, From 2012-2017 , the organic reach further decreased, Today the average organic reach of post of your Facebook page is around 12%, Which means the recent post of your Facebook page can actually reach only 12% of your fans. And the irony is more the number of fans, lesser is the reach of the posts, A Facebook page of 5 lac fans can reach an average of just 10,000 fans, thats just 2% of its fanbase!! This is sad considering the effort of admin in building such a fanbase. Ok, How you can actually increase the organic reach of your Facebook page? This is a million dollar question especially for emerging startups and bloggers. Here's the answer. Our Facebook page had 225 followers , when we posted this image, the image has reached to 84 fans, which is approximately 35%. But images do not actually serve the purpose, it cannot make your readers to visit your site, what's the use??? When they like your posts, Facebook make sure they see your Page's next post in their news feed. If they share the posts, obviously it'll increase the reach and your page may also get new followers. Even if they don't like or share the post, it helps you to build strong relationship with the fans. What if i want to make the readers visit my site? But this may not help, As the users should manually type the url in search engines, there's no way for them to copy the url, but if it reaches wide audience by shares, it works great. Url shortener tools like google shortener or bit.ly can be used to shorten the urls and post it along with images or videos to improve reach. But remember do not post links of videos but upload videos directly to your Facebook page, because the former will be treated as a link by Facebook. If your fanbase really like your posts and it's critical to them, they may do it. 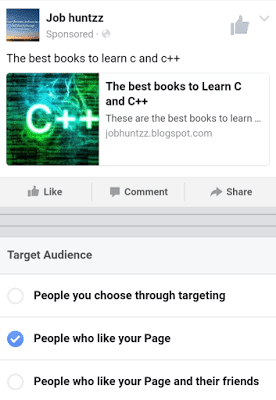 When the fans visit Facebook page Often , Facebook automatically detects that the user likes the page and gives high priority to it in newsfeed. This may not work well for all pages, but if successful it can do wonders. 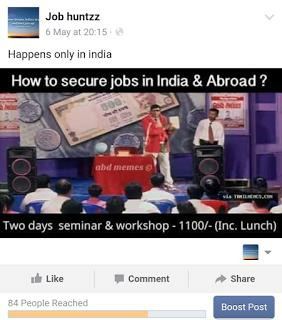 Facebook provides an option to boost post to reach more people for a certain amount of money. Reach all audience of particular interest, here the click through rate depends on the way it is promoted. If you are blogging daily, do not share each and every article, share the ones that people can engage with. Share other blog's quality articles, this can help to build trust. Let there be 60-40 ratio in engagement posts and blog posts. 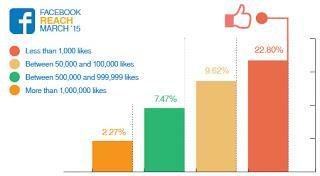 Why Facebook has decreased organic reach of Facebook posts? Because they do not want users to leave Facebook, if your Facebook post containing link reaches more people, more people will actually leave Facebook and visit your site, which is a loss to Facebook. Personalizing the news feed according to user interest. Reach more fans and reach more hearts. How is this working for you? I'm not sure it's boosted my followers. Any suggestions? Thanks for the info. I really do notice that image posts and videos get lots of shares when compared with link posts. I have also noticed that the reach is higher on some of my Facebook pages when compared to others.